People celebrate a wedding in a plethora of ways. These days cutting cake in wedding has become popular. 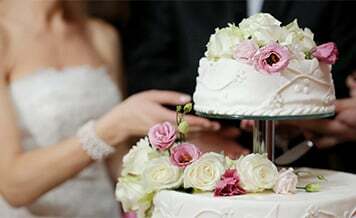 It is often seen that newly-wed couple cuts a cake on their final wedding day, whether after garland ceremony or in any other ceremony in the wedding. Cutting a cake is a new trend and it has become a little bit customary too. There are different varieties of cakes, of taste and size that you can have in your wedding in the cake wedding ceremony. Another ceremony addition to a wedding’s ceremonies. So for your wedding or other events you want delicious, savory, flavor cakes, then you can buy from the best wedding cake shops in Bangalore that provide you the authenticate quality of cakes. Cutting a cake is another addition in your wedding memories with others and would always remain a luscious one. If you also want to make your cake memories cutting both together and eating bites from the same piece of cake then order your cake. There are many wedding cakes shops in Bangalore from where you can buy the cake you want. On Shaadidukaan, there are best cake shops also listed which are by verified vendors. If in your wedding or any other event, you want to serve your guests tasty flavors of cakes then you can contact them. The vendors listed on the portal are experienced and profession service providers. So you don’t need to worry about the quality. Cakes can be a best dessert option for your wedding too. Shaadidukaan is India’s fastest growing online wedding market where you can find hundreds of verified vendors on it. There are around 45 categories in which you can book vendors for your wedding or any other events. And the portal is also working in 24 Indian cities and till the end of 2019 it is going to expand in all other cities. When you book a vendor from the portal, you get two things that you don’t get anywhere. The first is, satisfaction and the second is, worth of your money, which other portals are not offering. They just dupe the clients and take their money, which is not the motto of Shaadidukaan. We only want to provide you the best services and clients’ satisfaction is our number one priority. Searching a vendor is so smooth on the portal that you get the feel of best user experience than other portals. You only need to select the city and the vendor category in which you want to search. 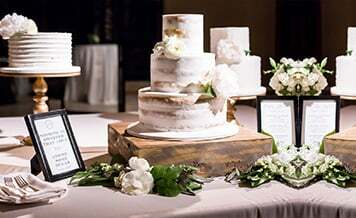 Suppose that you select a wedding cake shop in Bangalore, after that you hit the search button, a list of vendors in that city appears before you with their contact details and profiles to whom you can contact and discuss your wedding requirements without interruption and intervention of any third party. Hence the best baker you want to book for your wedding you can book checking on Shaadidukaan where you can find a number of experienced bakers. They are listed with us because they provide the unmatched quality of services. The portal is India’s number one online wedding market.